For over 30 years Appliance Repair Experts has been serving Las Vegas and the surround areas with superior service and access to affordable and quality appliance repair parts. Our large warehouse is stocked with the most common parts necessary to complete range or stove repairs rom all major manufacturers. Appliance Repair Experts sympathizes with its customers about how inconvenient it is to have a non-working range. When residential stoves break, you are faced with repair costs and the additional cost and inconvenience of eating out until the stove is fixed. For businesses that rely on a range to conduct business, the losses can be devastating. Appliance Repair Experts has a skilled staff that is knowledgeable and helpful in this situation. If you are unsure what is wrong with your range, tell them what is happening and they can assess the situation and find the parts you need. Our staff will even provide tips on how to make the repair more successful. If you are short on time, our parts finder form can be of great service. Fill out the form with as much information as possible and we will locate the necessary parts and contact you with the results. 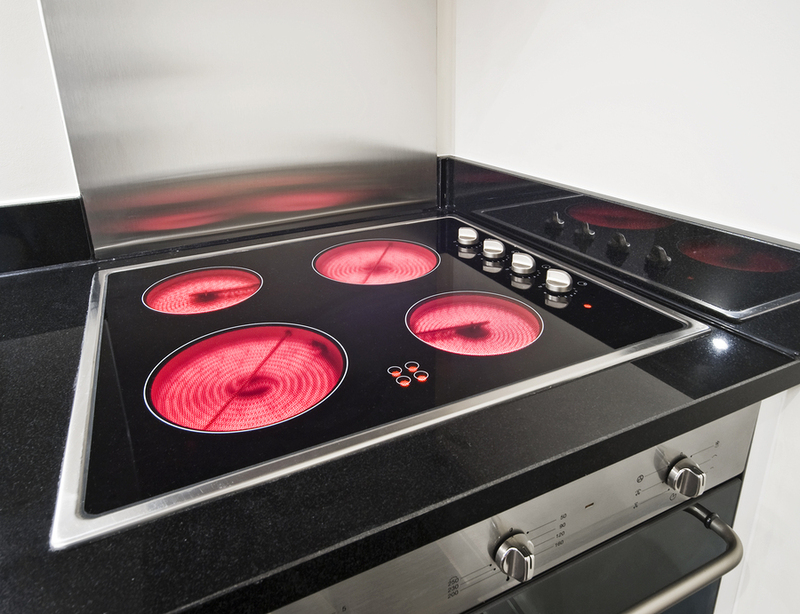 As a preferred vendor for Southwest Gas Company, we encourage all of our customers who plan to make a repair on a gas range to proceed with caution. Making these repairs can be dangerous if they are not done in the correct manner. If you do not feel comfortable making this type of repair, we suggest that you schedule a service call with one of our technicians and allow them to complete the repair. Our warehouse and our repair service are open Monday through Saturday from 8:00 a.m. to 5:00 p.m. These extended hours allow all of our customers to have access to parts or repairs on their schedule. Always clean the top if your range with a non-abrasive cleaner and a soft sponge. You risk scratching the surface with any other type of cleaner. If your range has removable burners, periodically check them to make sure that they are not loose and have a tight connection. Over time the burners can loosen and not heat well. Wash drip pans at least one a week to prevent grease build up and prevent stove top fires. To clean the knobs on your stove spray cleaner on a paper towel and gently wipe the knobs down. Never spray cleaner on the knobs directly because this could harm them or get liquids into the circuitry. Always use pots or pans that are a little larger than you may need to help avoid boil-overs. This can also help keep your range cleaner if food cannot “spit” while it is cooking. Remember that electric burners retain heat for a period of time after they are turned off. Never leave your prepared food on the burner that you cooked with or you could risk burning the dish. Always make sure that the knobs of your gas grill are completely in the off position when the range is not in use.